I just love the light blush tinge of the petals and the yellow-and-peach-striped lip. I’m thrilled that I finally got one of my orchids to rebloom! It’s been entirely too long because our apartment doesn’t have the best light and I’ve been too lazy to do an artificial light setup. At least we’ll be moving early next year and I can do a proper growing setup! The second-to-last bud is blasting, but it looks like the final bud on the spike might still open up okay. I love having these long-lasting flowers in my apartment again! 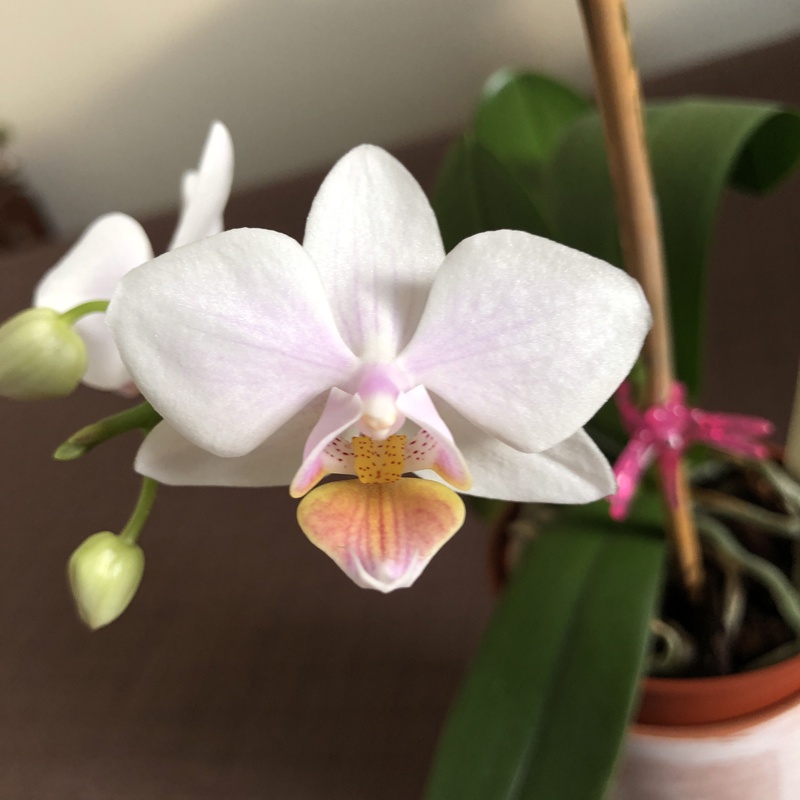 It’s always tempting to buy new blooming orchids when mine aren’t in bloom, but I’ve been pretty good about not doing that lately (mostly because I spend all my money on beauty products, haha). Feel free to follow me on Instagram @brooklynorchids, as I’ve been posting there more often than here on my blog lately.